We ran our first French courses designed specifically for UK Sixth Formers in 1990 – since then we have welcomed hundreds of students with us who have all benefited from the highly targeted course and 100% dedicated teaching. Our tuition is specifically designed to improve your oral and written French, to expose you to the French way of life and French culture, and to cover main aspects of the French language syllabuses for Advanced Level (AS and A level), the International Baccalaureate (Standard and Higher) and the Cambridge Pre-U. The maximum group size is 6 students at any one time. We have a combination of classroom teaching and one-to-one sessions, with a minimum of 5 hours tuition a day. Homework is set each evening and is marked and returned the following day. 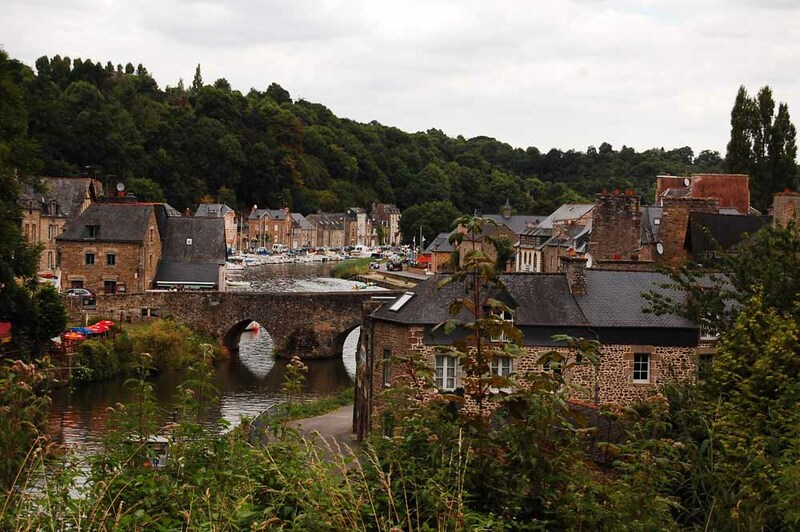 Moreover, all meals are taken en famille which means that there is further, informal contact time with the teacher who is “on call” from 8 a.m. to 10 p.m.
We provide a tried and tested combination of classroom work and practical projects and expeditions around the Dinan area. Tuition is from an experienced and well-qualified graduate teacher. Click here for full details. We write our own tailor-made course book each year which includes relevant, up-to-date, and topical subject matter, under the themes prescribed by UK examining boards, as well as covering main aspects of grammar and style. We provide an informal but academic atmosphere. We are not a large impersonal institution: Le Grand Osier is our home and students are considered a part of the family while they are here. 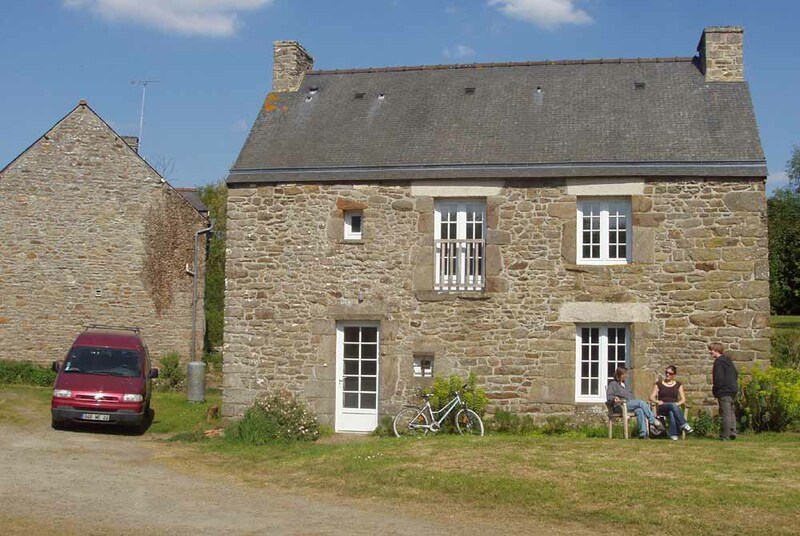 Accommodation is in a 16th century renovated stone Breton fermette in either double or single rooms. 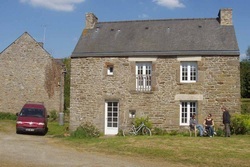 The house has two double rooms with washbasins and en-suite showers, and two single rooms with washbasins. There is also a fully equipped bathroom. French cuisine is part of French culture and we pride ourselves on the standard of food which we provide. 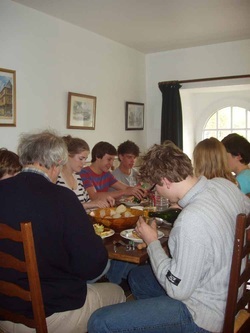 The course fee includes all meals, including dining out in excellent local restaurants. We do not believe that there is any other course in France which offers so much contact time, expertise and dedication as we do! Or fill in a form on the contacts page and we will get back to you as soon as possible. C’est complètement unique ici et vous êtes une famille spéciale. J’adore Dinan et nos expéditions étaient merveilleuses! Vous êtes une cuisinière incroyable! Je ne pense pas je j’aie jamais mangé si bien dans ma vie! Je n’oublierai jamais ce stage et votre famille. Merci beaucoup pour la semaine que j’ai passée à votre maison. Je l’ai trouvé très utile et, grâce à votre aide, mon français s’est amélioré immensément. 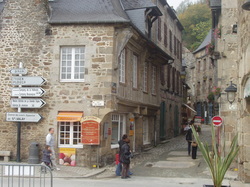 Il était fascinant de voir la culture locale à Dinan et Saint Malo, et même un peu amusant de temps en temps d’essayer de parler avec les gens du coin. Je me suis très bien amusé et je me souviendrai longtemps de vous. Just a note to say that Max achieved an “A” grade in his French A level, and to thank you for all your excellent help. He found his time with you very useful – no doubt that it contributed towards his success! A little note to say thank you both very much for making Isobel’s stay in France so enjoyable and beneficial. She actually was quite sad to be home at the end of it – which was indicative of the great time she had. Many thanks again – hopefully our other two children will meet you in due course!